color transparent, red, green etc. 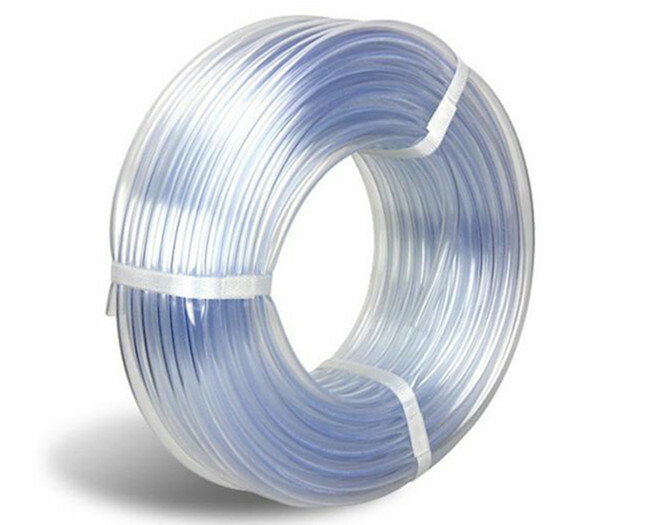 This transparent, flexible tubing has a 1/8" - 1'' inside diameter, a 1-4mm wall thickness, and is suitable for applications subject to transfer or repeated use. It is made of pvc, which is easily worked, resists grease, oil, detergent, and most inorganic acids, and has a very high impact resistance at nearly 30 times that of safety glass. It has high elasticity for resistance to creep. Plastic tubing is used to transfer liquids, air, and it is characterized by a round, rectangular, or square shape and a hollow center. Plastic tubing is crimp-resistant and varies in bend radius (flexibility), chemical resistance, wall thickness, durometer hardness, and temperature and pressure handling abilities. 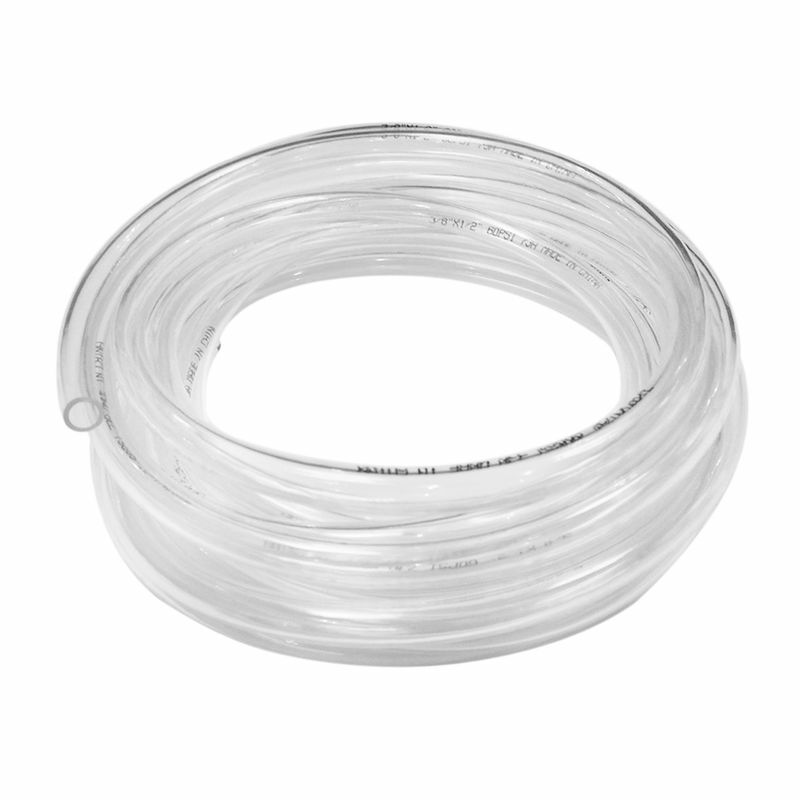 The clarity of plastic tubing may be transparent (clear), translucent (semi-clear), and the tubing's coloring may indicate suitable applications. Plastic tubing is used in a wide variety of industries, such as agriculture, automotive, laboratory, and medicine. Applications for plastic tubing include blood and fluid handling, peristaltic pumps, electrical and thermal insulation, analytical systems, and food and beverage handling, among others.